Posted on Friday, January 19, 2018 by "T". Hedge fund manager and poker player Bill Perkins is well-known in the poker community as a lover of extreme prop bets, and one of his lucrative schemes this time (which could be one of his best wagers yet) is the one he made with brothers Jaime and Matthew Staples on March 26, 2017 at 5pm. 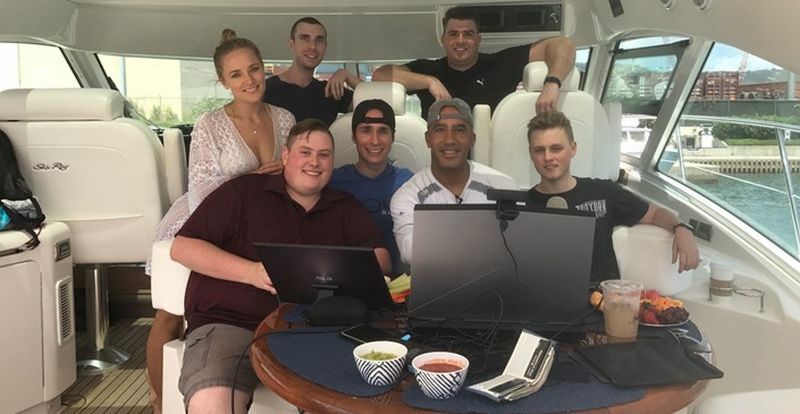 These three people, along with Jeff Gross and a few other friends, hatched the interesting and (probably life-changing for Jaime and Matt) bet just so they could spice up their already baller-like Twitch-streaming on a yacht. Bill Perkins challenged the Staples brothers $150,000 to $3,000 (50:1 odds) that they both will not be able to get within 1 pound of body weight from each other after just 1 year. At that time, Jaime weighed in at about 310 lbs (140 kg) while Matt's weight was just half of that 135 lbs (60 kg). 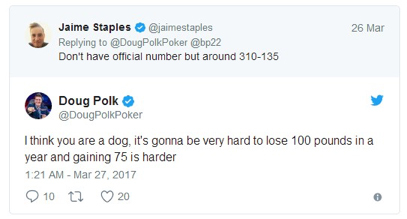 Poker pro Doug Polk commented that the bet is "impossible", but Jaime is ready to take on the challenge. For them to win, the brothers will need to gather up a huge amount of discipline and dedication in a span of 1 year, which is the stated duration of the bet. There is a bit of silver lining for them, because according to science, they have a chance to win and not only that, if they do win, from then on Jaime's health could be much more improved than ever! Let's take a look at each of the brothers' predicaments. Canadian Team PokerStars Online Pro Jaime, at 310 lbs (140 kg), need to seriously lose much of his weight, but with discipline, dedication, portion control and regular exercise that involves spending 2-3 hours in the gym 3-4 times a week, he can lose anywhere from 40-50 kg without giving up and rebounding back to an unhealthy weight. On to the next brother, Matt Staples. He, on the other hand, faces a rather unhealthy path ahead of him. At only 135 lbs (60 kg), to meet his brother within just 1 pound between them, he has to considerably gain weight, and as many of us know, there are absolutely negative effects to deal with if a person gains weight especially if it's just in a short period of time. Unfortunately for Matt, in the world of fitness, pro trainers and health magazines which claim it is possible to gain 10 pounds of muscle in just 2 weeks, are selling delusional hopes to the gullible. In reality, the max amount of muscle one can gain may be around 20-25 lbs (10-12 kg) in a full year, which means that Matt shall have no choice but to put on more than 20 kg of fat as well, if they want to pull this wager to their advantage. The way most people from the world of bodybuilding see it, Matt's situation is going to be quite enjoyable, as it includes weight training (heavy barbell movements such as bench presses, squats and deadlifts) plus the allowable consumption of huge amounts of ‘dirty/unhealthy' sources of protein and carbs like burgers, ice cream, fries, pies, pizza, etc. The main hurdle that is going to challenge both brothers is the "one pound" clause. 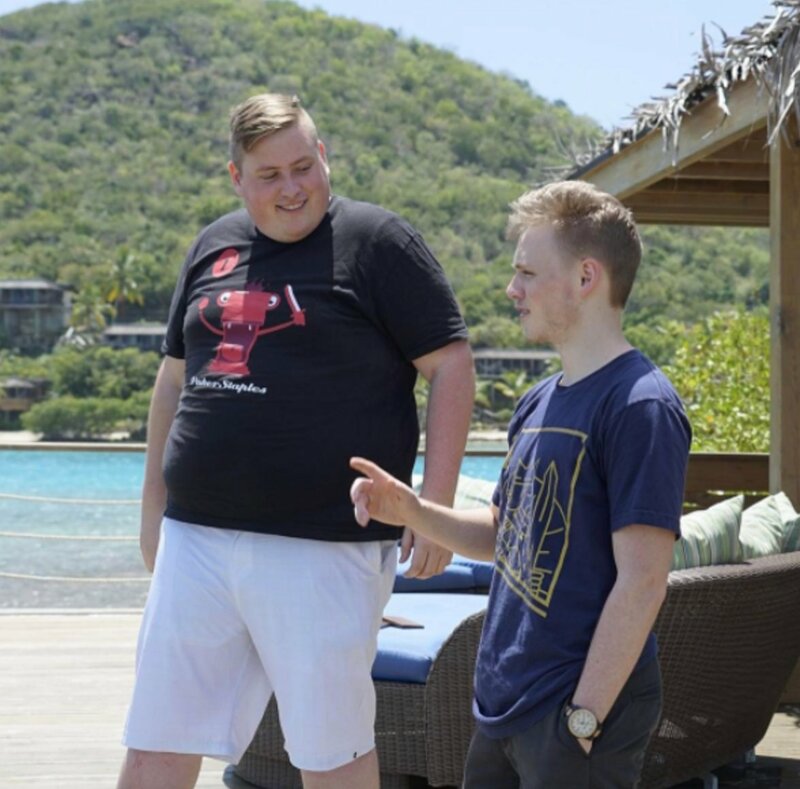 It is possible for them to meet somewhere at around the 90-95 kg range, especially if Jaime learns how to do water weight cutting and uses this method to lose up to 10 kg of water weight in the final few days of the bet. However, the human body is extremely resilient and will refuse to budge its weight if brought extremely below its normal levels of functioning, and the water weight of a person can greatly fluctuate in a matter of hours. It also depends on how strict Bill Perkins would be at the time of the weigh-in, so it is really a difficult road ahead for the brothers. As of the reports last week, only 34 pounds is what's left between the brothers to achieve their goal of weighing within 1 pound of each other, and win that nice plump sum of $150,000. Jaime said, "I weighed in about six days ago and I was 212 pounds, and my brother was 178 (Monday) morning." Originally, their goal was to get to 180 pounds, but that has changed. "I would say we're (looking at) around 187 right now. It will depend on how the next two months go. I think 180 would be ideal, but it's maybe a bit optimistic." Jaime joked, "There's good things to eat everywhere, and the brutal thing is I've lived with my brother, so I've seen him eating the chips and the pizza and the potatoes and the rice and the pasta. I'm just sitting there with my chicken breast and salad. I think it's doable in any part of the world, so I didn't want to sacrifice the lifestyle and the opportunity we have playing poker for a living to do it in a bunch of places, I thought that I could do both of those things, so I'm glad I did. We're aiming for 1,300 calories a day, so every day you're slowly starving yourself, and you feel the effects of that in terms of concentration and energy and mood and mindset, so it's very draining, and I'm tired. I'm ready for it to be done. If you read that and think that having any sort of issues with concentration, energy, mood, and mindset could have a negative impact on a poker player at a live tournament, you're right." 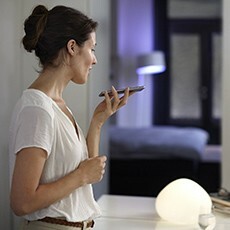 Jaime said, "It absolutely does and I describe it to people as a sliding scale. 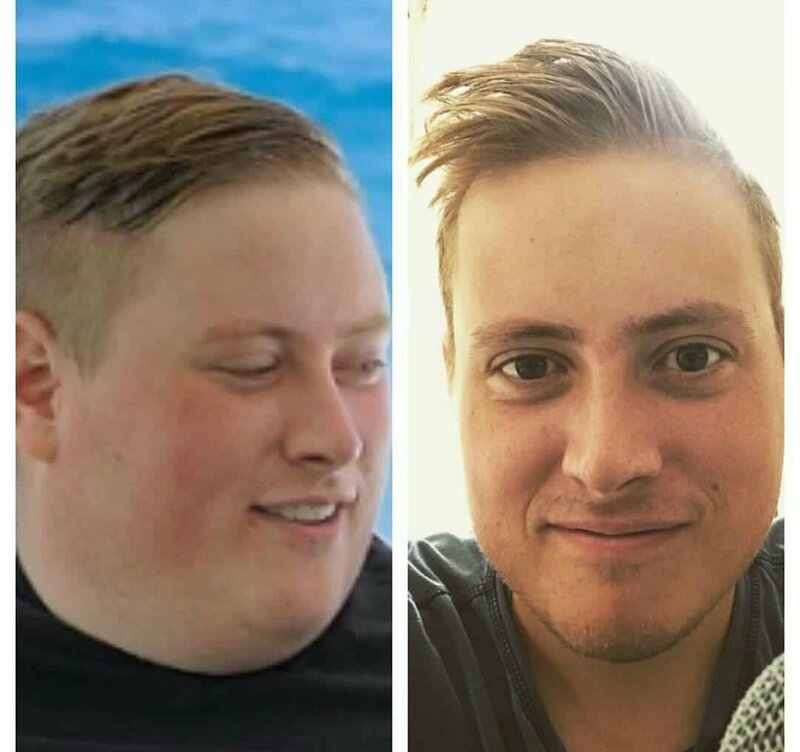 There's a bottom and a top, and previously, when I was really overweight - 300 lbs - my bottom was much lower and my top was much lower, I think most days I'm operating on 20% of normal energy, but that scale has moved up significantly to where my bad days now are where my good days were. So it's progressively getting better all the time, and I just feel fresher." On the other side of the spectrum, Matt, for the duration of 1 year, is stuck on a diet that requires him to eat an average of 3,500 calories per day, which means more servings of rice, potatoes, pasta, and other foods that will definitely pack on some extra pounds. Jaime said about his younger bro," It's been difficult for him for sure. He's lifting a lot of weights so he's very, very strong but he's just tired of eating. This is a guy that walked around at 135 or 140 pounds. He's just tired of it, he just wants to eat some normal stuff and not have to think about constantly eating. You're tired as well when you're eating that many calories, so it can really burn you out in the middle of the day when you're on your second helping of pasta." It is just a mere 2.5 months left before the momentous weigh-in. They only get to have one shot, one chance at hitting their mutual goal weight, so they are doing measures to make sure they don't screw up. Jaime said, "We're researching the best scales so we can get it very exact and not have any fluctuations that way. There's no regulations in terms of how much we can weigh in before that 5 pm time. We'll come into that day at the same weight and we'll just be fluctuating water weight throughout the day, so at 4:59 we'll be hopping on the scale, making sure we're there." Will they be able to win this life-changing prop bet? We'll find out on March 26, 2018. 9 comments for "Bill Perkins'' 1-Year Weight Loss Prop Bet - Jaime and Matt Staples still 30+ Pounds away from winning $150,000"
Oh boy. They could make the 'little' brother gain weight as well and if both of them end up around 140 kgs then boom, challenge is won by them. Eating pizza, chips and ice cream for a whole year will do that to ya just fine. than for the other to gain. It is the most healthy choice also for both of them. Not that the "skinny" one needs to gin weight. it will be better for him. It is good to be weak, not fat. Who's that blonde chick standing behind Jamie in the picture? Wow! She is so hot! Is she a licensed nutritionist? Maybe not. Well, I guess both Jamie and Matt are going to need an experienced nutritionist or dietician. Let's wish them both good luck. Yeah, no. Water cannot make you fat. When your body withholds water or your joints are swelling at an abnormal rate than yeah, water can make you look bloated, but water cannot make you fat. I did not mean that water was fat. I was referring to the fact that when you drink more water the body does not lose its weight so easily. You have to drink the normal water, not much and the regime to be with many fruits and vegetables, a little flesh, fish, or cheese.